This house had a large swale (drainage ditch) in the backyard which made most of the backyard unable because of the slope. 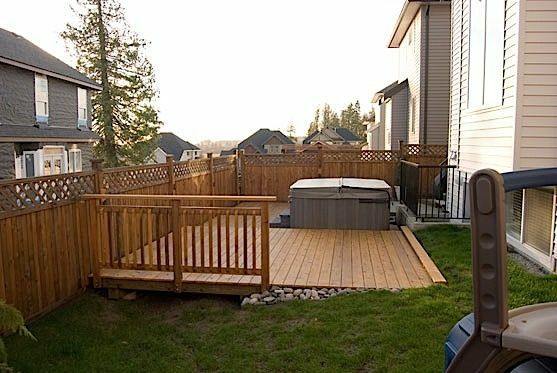 Since the swale could not be removed as it was part of the drainage system for the subdivision, we designed a large deck which would effectively level the backyard, while still allowing water to flow freely underneath the deck. 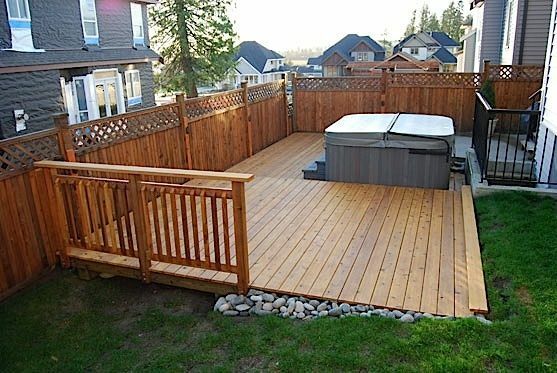 The deck also incorporates a hot tub and has built-in landscape lighting.